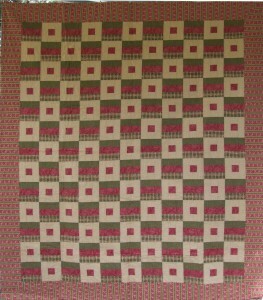 This quilt is large enough for a double bed or to top a queen size bed or 3 seater settee. The limited colour palette speaks for itself so the piecing remains simple and the result is rather reminiscent of the regency period. 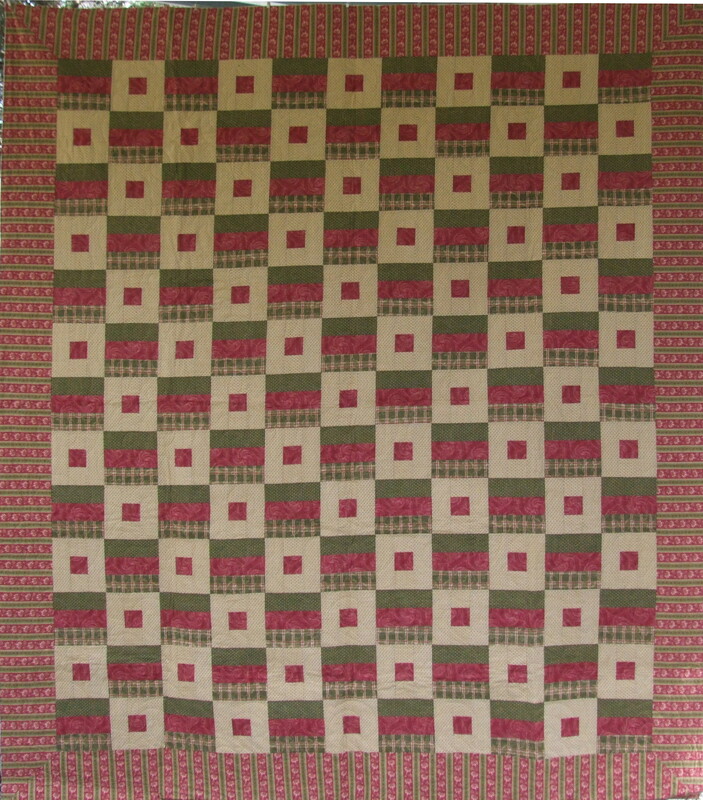 Even if your not a fan of pink this quilt would still appeal due to the richness of the colours. 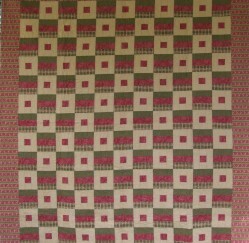 The backing is a tone-on-tone green to match the top and the whole quilt is 100% cotton. This is a truly lovely quilt, you will be proud to own.